The UCLG Africa Transparency and Integrity programme seeks to strengthen local governments in order to combat corruption in service delivery. Global concern with corruption, especially its adverse impacts on the poor and vulnerable, has been rising over the years. Sub-national governments must STOP this menace NOW. At the local /sub-national level corruption is particularly debilitating as it adversely affects the poor in profound ways. 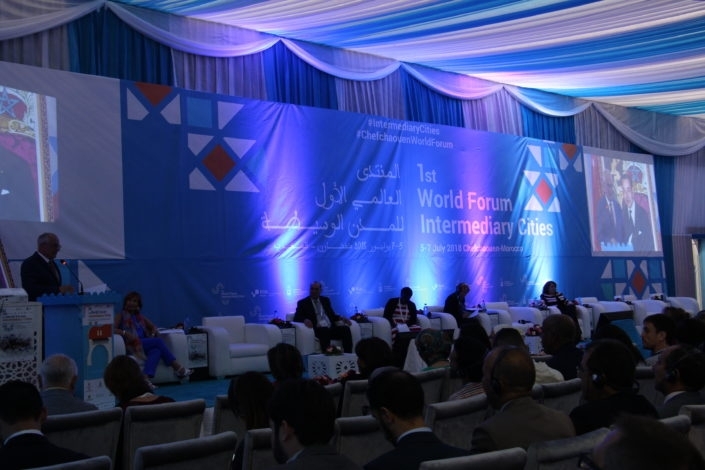 It permeates various key facets of human development such as democracy, political, economic, and social development and the general well-being of societies. It causes poverty as it severely depletes the resources available to uplift the poor especially in poor countries in the developing world. 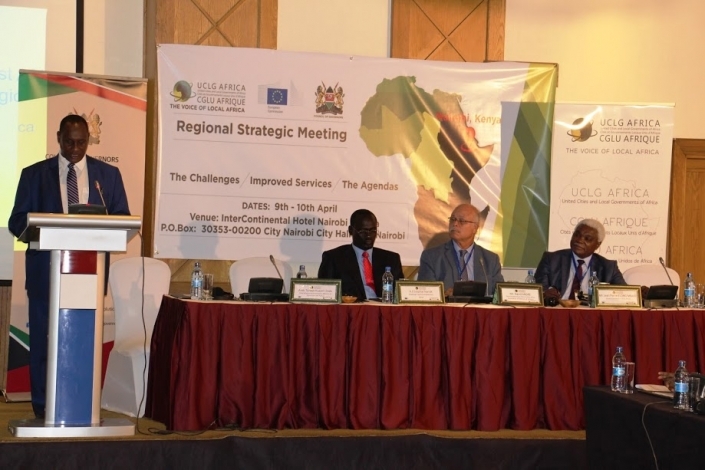 The UCLG Africa programme on Transparency and Integrity aims to assist sub-national governments curb the scourge of corruption and improve services delivery for the benefit of local citizens. 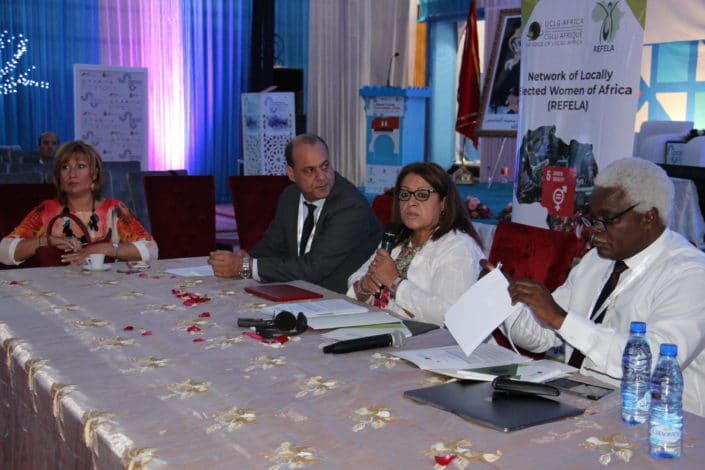 The Session on Transparency and Integrity seeks to present the UCLG Africa programme explaining its aims and objectives. The Session will also present the UCLG Africa’s pilot Transparency and Integrity assessment in order to highlight the importance of the community as a barometer for good responsive local governance. The pilot assessment carried out in Kabarole District, Uganda was the first external testing of a tool developed by Transparency International-Kenya. Programme highlighting its rationale, objectives and operationalisation. Local Government for Transparency and Integrity in Service Delivery in Africa’. 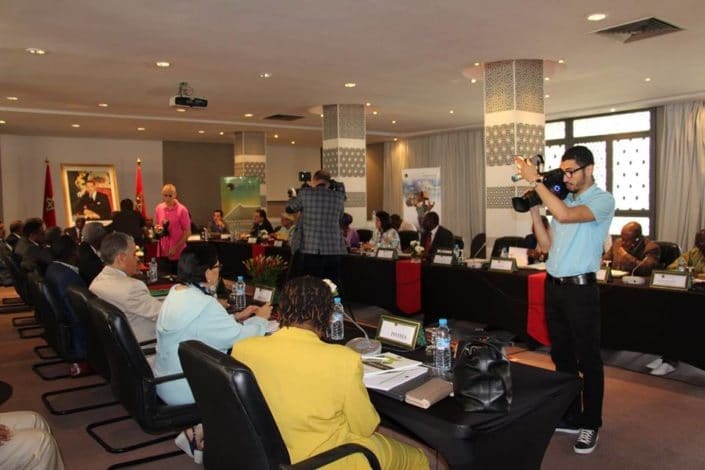 Presentation of a proposed UCLG Africa Transparency and Integrity Index – a tool that will be available for regular on demand assessment of integrity and transparency practices at local and regional governance institutions. Panel discussion with participants providing a platform for open questions and contribution to improving the UCLG Africa programme. Collating Session Recommendations: The recommendations of the Session will be confirmed by participants for onward consideration. 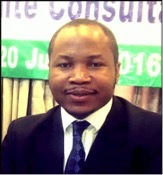 Samuel Kaninda is one of the Africa Regional Advisors at the Secretariat of Transparency International (TI) in Berlin focusing on Central and West Africa. 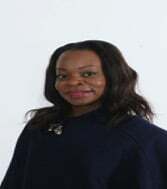 He previously held the position of Programme Coordinator: Public Sector Integrity in the same organisation. 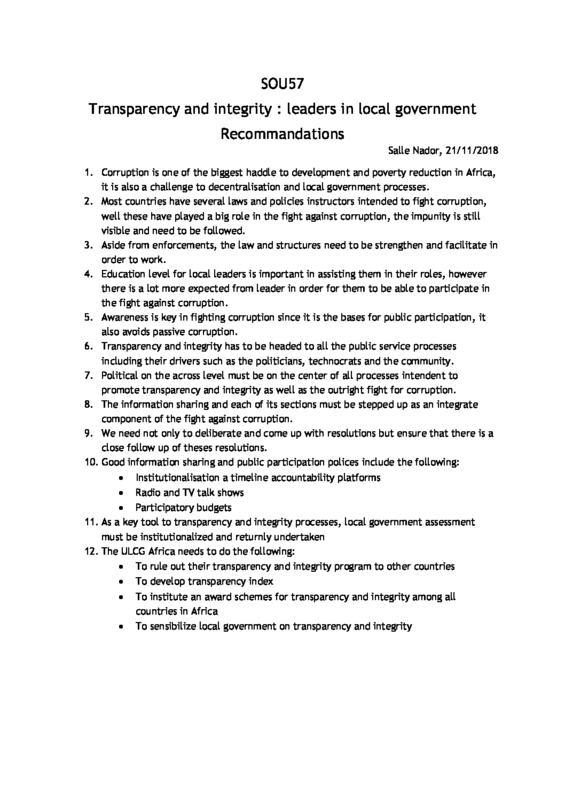 In this role, Samuel was working with TI national chapters and in Africa on addressing corruption in their public sectors both in terms of diagnosis and solution, including at sub-national level. 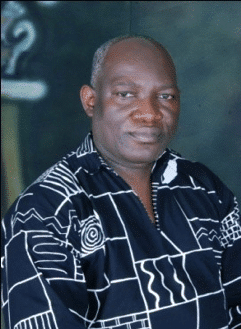 Before joining the anti-corruption movement in 2013, Samuel worked in the local government sector through the Pan African association of local government known as United Cities and Local Governments of Africa (UCLGA). 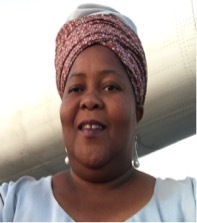 Supporting African local government associations in the areas of advocacy, capacity development and institutional strengthening was at the core of Samuel’s role. 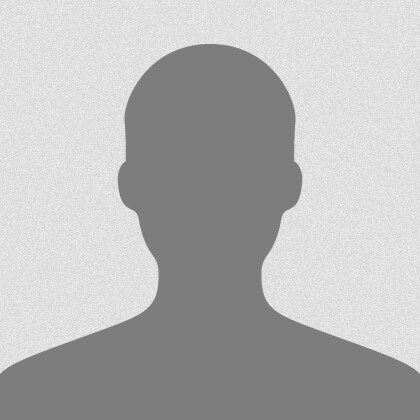 Samuel’s academic background is public management. 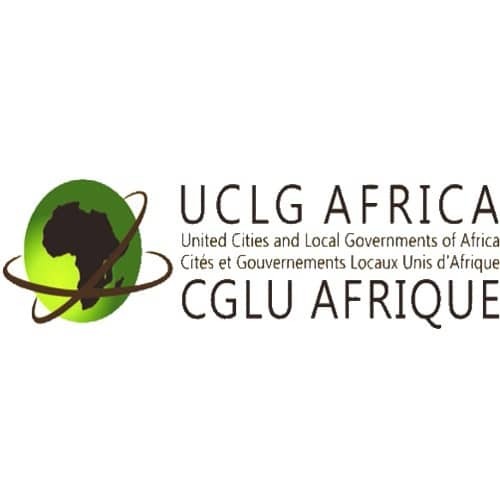 To introduce and popularise the UCLG Africa Transparency Index for local and regional governments.